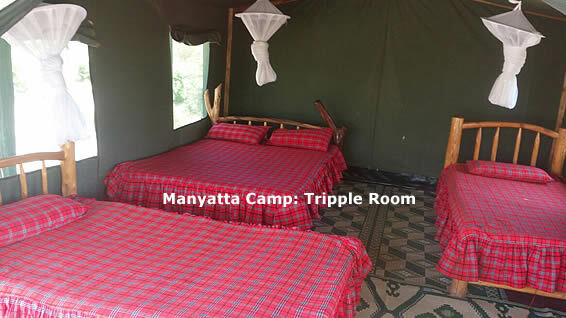 The camp is a new concept in the world famous Masai Mara Game reserve. Booking can either be on bed only or on full board basis. Guests on full board basis will have 3 meals per day prepared by the resident camp Chef.Guests on Bed only basis can bring their own food to be prepared by the resident chef at no additional cost. 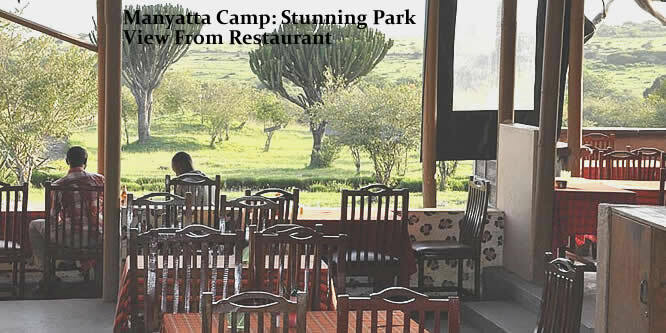 The masai mara manyatta camp dinning area that can hold upto 80 seated guests. 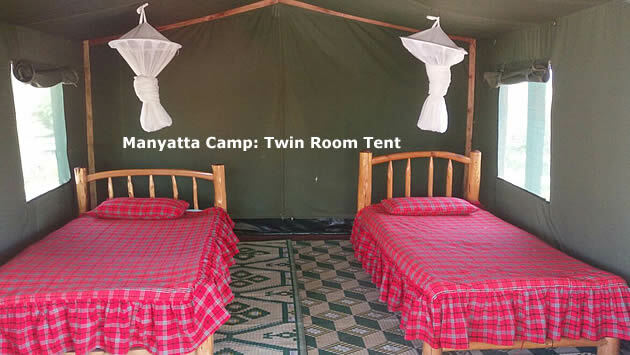 Accommodation is on spacious tents, erected on hard surface and covered with“Makuti” to mitigate on harsh weather conditions like heat and rain. 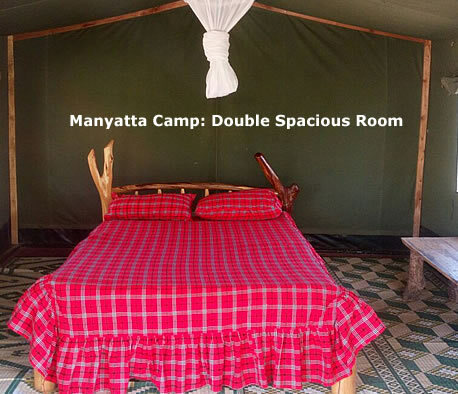 The camp has a combination of double or twin beds on sharing basis.The bed capacity is upto 80 guests. Single occupancy can also be arranged on request. All the tents are en-suite, with built in toilet, hot shower, mosquito nets, electric lighting and power sockets. DAY 3: MASAI MARA : Early morning game viewing when the predators are hunting and return to the camp for breakfast. After breakfast depart Masai Mara and drive back to Nairobi arriving in the afternoon where you will be dropped at your town hotel. Also optional Hot air balloon ride can be arranged this morning, then proceed with your game drive - $450 per person. Optional visit to Masai Village for a cultural tour can be arranged - $25 per person.